Booking a holiday should be a simple and easy task, but the nightmare of being scammed is a harsh reality for some. Many Britons are still very trusting and unaware of potential fraudsters, despite a growing number of online scammers targeting holidaymakers. Figures from Action Fraud show there have been over 150 fraud cases involving airline tickets since the start of the year. Online scammers claiming to be authorised airline ticket agents promise cheap deals to victims without delivering a valid ticket. The scam involves fraudsters buying legitimate e-tickets and selling copies of it to multiple buyers, faking an e-ticket or buying tickets on a stolen credit card. Other online travel fraud involves victims being sold fictitious holidays or only getting part of what they paid for. Fraudsters who are taking advantage of consumer trust are also giving the travel industry a bad reputation, new figures show. A poll of more than 1,500 Brits found that many are losing faith in the travel industry. Only 39% trust a travel agent when making a payment and just over a third ‘mostly trusted’ a hotel receptionist to take debit card details over the phone. Worryingly, one in three people who book holidays online do not check the authenticity of the travel provider before dishing out payment details. 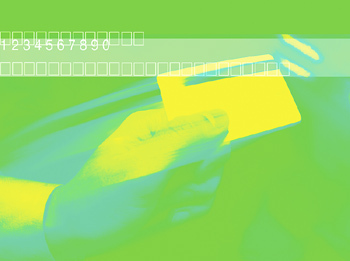 Car dealers are the least trusted, with just 11% of those surveyed willing to pass over their credit or debit details. Foreign estate agents were also deemed untrustworthy, with only 15% of British tourists putting their financial faith in them. Older generations are more trusting of the travel industry than young people, as just under half of 45-54 year olds trust hoteliers and agents. “Don’t assume an advert is genuine just because the website is. Research the property or hotel you’re booking - verify that the address exists through web searches and online maps,” said Dominic Blackburn, product director of 192.com. If you are concerned about losing out financially when you go away, invest in travel insurance to ensure you are protected.